A 10-man raft is only necessary if there are 10 people aboard. With a small crew, a smaller raft will be easier to handle. A Class II raft doesn’t have a stabilizing pocket and its equipment is limited. It is only suitable for short coastal sailing. 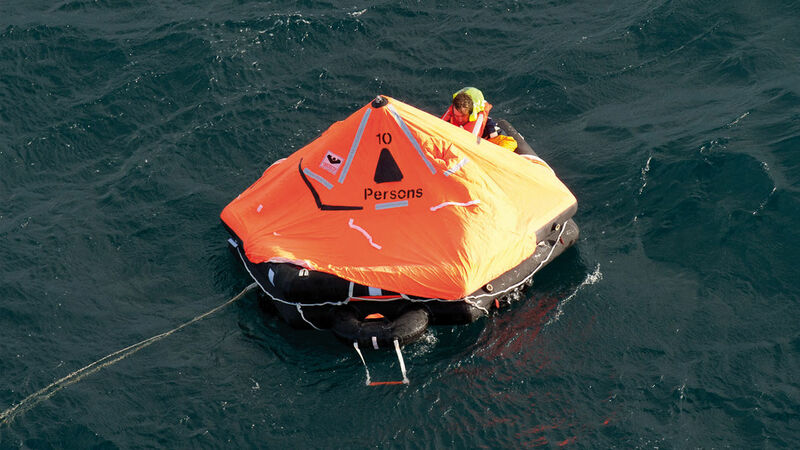 A self-righting liferaft is recommended for offshore sailing in difficult areas, or on a long term cruise. And it’s quite useful to have activated one (with a raft at the end of its life) for practice before the big departure. The choice of the raft’s location is fundamental. It's advisable to think about it when preparing the boat. If you stow your raft in a locker, make sure that it is easily accessible and that nothing will obstruct its handling. The raft’s equipment is planned for 24 hours, more or less depending on the model. In all cases, a waterproof bag with additional equipment must be ready…before you set off! It’s the final bastion of our safety aboard, or rather overboard. How do you choose the right liferaft from among the different models, and above all, where do you put it so you can realistically handle it in an emergency situation?